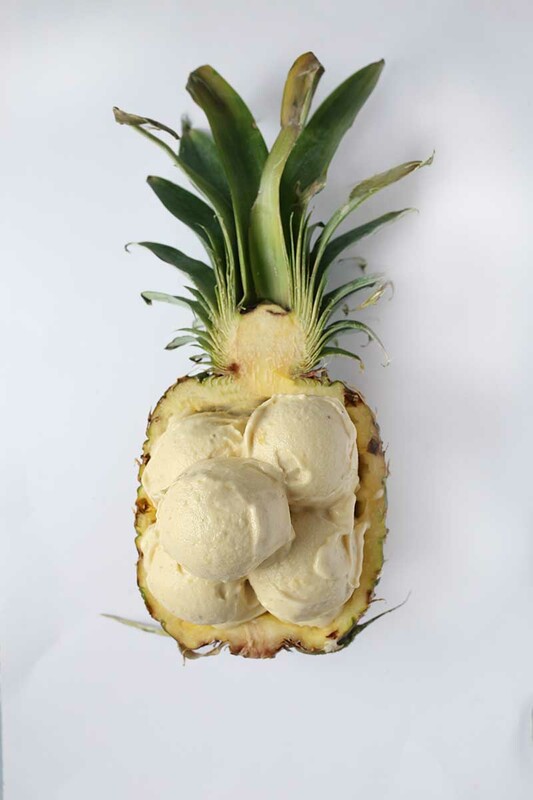 If there are still people who don’t know about the easiest way to make Healthy Pineapple Banana Icecream this summer, here is the recipe! 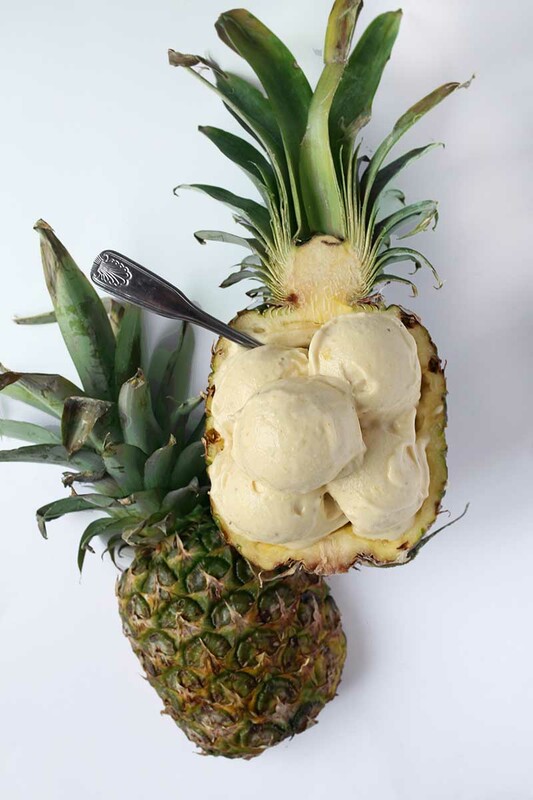 Icecream is my absolute favorite thing to eat in summer (and winter). 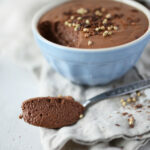 I sued to eat sugar and dairy overloaded store bought Icecreams but no that I know how to make my own creamy, sweet, healthy and dairy and refined sugar-free “Nicecream”, I can enjoy it every day! And as a secret tip I advise you to try it with these super easy vegan chocolate chip cookies with no refined sugar! So all you need is a good blender and the rest is history. 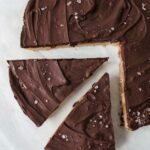 It is also a little embarrassing to write down the recipe because it is just 3 ingredients and super easy to make. It’s really just frozen bananas, frozen pineapple chunks, and a little maple syrup. Serve and eat right away! Alles mixen und sofort geniessen! This sounds yummy! I’m thinking about adding maple extract instead of syrup. Trying to keep the sugar levels as low as possible. Banana has sugar I’m sure pineapple too so maybe no added sugar would be a better description. 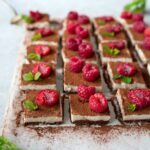 This recipe looks very tempting but is it really possible to get that smooth and creamy texture without using milk or any dairy product. if yes then WOW…I am going to try this for sure. After blending do you freeze it? This ice cream is going to be in my top 10 🙂 looks so delicious. Thank you for sharing this recipe with us. Sounds delicious! 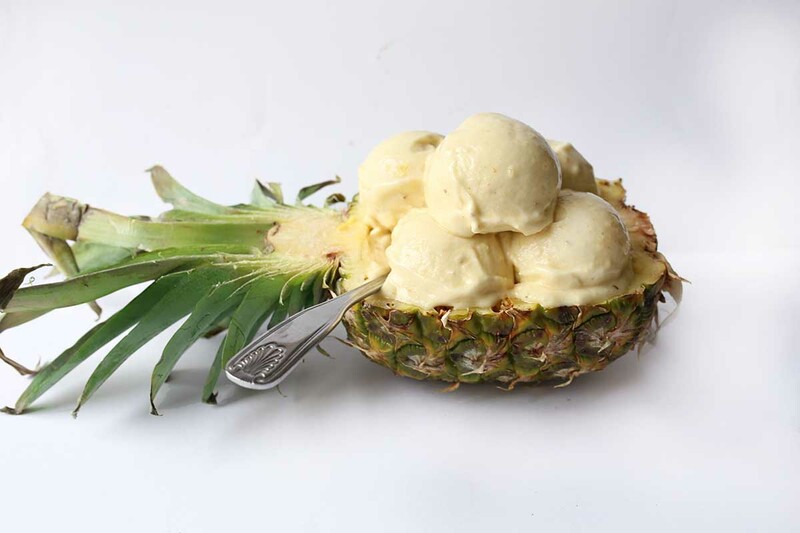 I love pineapple, it adds the perfect sweetness to smoothies, making an “ice cream” out of it is a wonderful idea. Thanks for the inspiration. It’s obviously not sugar free considering fruit is very high in sugar and you’re putting maple syrup in it. But you could say low sugar instead. Or leave out the maple syrup and say no added sugar. Maple Syrup is optional in this recipe ???? How can this be classified as Sugar Free when you put Maple Syrup in it? Maple Syrup is very high in sugar.